And as the elder population increases, the number of scams amongst the senior population is bound to increase as well. In the Austin Daily Herald article, Sara Schafer offers some helpful piece of advice for seniors to prevent getting scammed. Essentially, her biggest piece of advice: do not release any personal information. This may seem like a really simple guideline to follow to prevent getting scammed. However, for some seniors who, for example, have dementia or live alone and are unaware about scamming tactics, this may not be an easy guideline to remember or understand. One thing that home care agencies can do to ensure that seniors do not get scammed is to, of course, place a trusted individual in the senior’s home. Oftentimes, families hiring a private caregiver fail to perform background checks to determine if an individual is eligible and responsible to essentially be the guardian of a senior. This may result in the family member getting scammed by the private caregiver or the private caregiver scamming the senior directly. Employing a home care agency that utilizes a home care software or home care system can eliminate the chance of scams happening directly in a senior’s home. The best agencies even run background checks on their caregivers through their home care software or home care system to ensure that they are partnering seniors with a trusted individual. With a trusted caregiver in the home, the senior is accompanied by an alert individual who can make sure that personal information is not handed over by the senior over the phone or in-person. The caregiver can help keep an eye on the senior who may otherwise make a decision that can potentially lead to a scam. If a caregiver notices suspicious activities or a high-volume of telemarketing scamming calls, the caregiver can communicate this message through an agency’s home care software and home care system to alert other caregivers, administrators, and family members all at the same time about recent scamming attempts. This home care software and home care system-wide alert can help family members and agencies become more aware in monitoring telemarketing calls or in-person solicitation scams that could harm the senior. Although we may not be able to stop phone call scams completely, we can help prevent seniors from being scammed at an individual level. 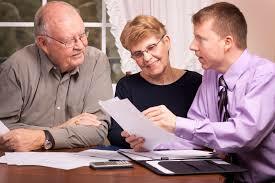 Employing a trusted caregiver through a home care agency can equip a senior with a guardian who can help make sure that personal information is not communicated to a potential scammer, and who can communicate with others within a home care software or home care system about suspicious scamming activity so that the appropriate authorities may be involved.